Anchorage Condo - Walk to DT, Water & Coast Trail! Property 3: Anchorage Condo - Walk to DT, Water & Coast Trail! Hillside Anchorage Home by Hiking & Biking Trails! Property 4: Hillside Anchorage Home by Hiking & Biking Trails! 100 Meters from hiking, cycling and wildlife viewing. Property 5: 100 Meters from hiking, cycling and wildlife viewing. Bright 3 bedroom duplex perfect for work or vacation. Property 7: Bright 3 bedroom duplex perfect for work or vacation. Downtown Suite #2, Free WiFi and Laundry! Property 8: Downtown Suite #2, Free WiFi and Laundry! Charming, cozy cottage duplex, bright and airy, perfect location! Property 14: Charming, cozy cottage duplex, bright and airy, perfect location! Charming, cozy cabin duplex, bright and airy, perfect location! Property 15: Charming, cozy cabin duplex, bright and airy, perfect location! 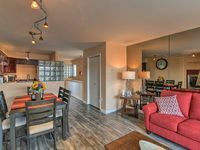 Perfect location with easy access to downtown and all your Alaskan adventures! Property 20: Perfect location with easy access to downtown and all your Alaskan adventures! Luxury 4-BR Home, Pristine Condition, Convenient Location & 5* Service! Property 21: Luxury 4-BR Home, Pristine Condition, Convenient Location & 5* Service! Property 22: Cozy downtown cottage. 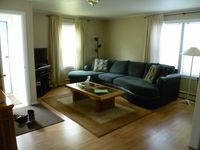 Fully Furnished, Central Location, Easy Access To Anchorage's Many Attractions! Property 23: Fully Furnished, Central Location, Easy Access To Anchorage's Many Attractions! Have an Authentic Log Cabin Alaskan 5 Star experience at "The Eagles Nest"
Property 30: Have an Authentic Log Cabin Alaskan 5 Star experience at "The Eagles Nest"
10 min to Downtown! Walk 2 Eat, Play & Go! 7th nt Free off reg, Fenced Yard! Property 32: 10 min to Downtown! Walk 2 Eat, Play & Go! 7th nt Free off reg, Fenced Yard! Family Friendly South Anchorage Home, Centrally Located For Your Ak Adventure. Property 38: Family Friendly South Anchorage Home, Centrally Located For Your Ak Adventure. Spacious & bright, family friendly Anchorage home! Peaceful, quiet location! Property 46: Spacious & bright, family friendly Anchorage home! Peaceful, quiet location! Stay was very nice. Had shampoos/body wash there. Even some bubble bath stuff that my wife used. Very easy to find. Definitely recommend parking on the street. If you park in the back you have to walk through other peoples yard to get to it. The condo was in great condition, comfortable, and well-furnished. It's only a few blocks walk from downtown, and in a very nice residential neighborhood. There was a lot of construction going on around when we were there, but once that's done, the area will be even better. We enjoyed our stay in Anchorage and at this property.